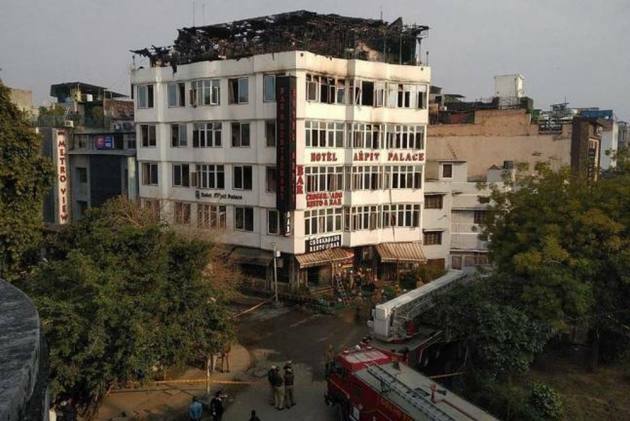 At least 17 people were killed in Delhi on Tuesday after a fire broke out in a hotel in Karol Bagh. The hotel's general manager, Rajender, and manager, Vikas, have been arrested for culpable homicide, DCP (central) Mandeep Singh Randhawa said. A short circuit is suspected to be the cause of the fire that broke out at the hotel in the early hours of Tuesday, a senior civic official said.